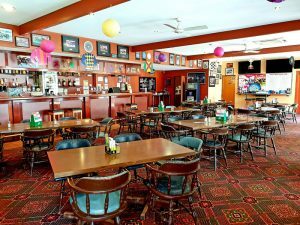 Baxter Tavern has been a staple of the community for decades, continuing to provide locals with a place to gather for good food, cold beer and hospitable service. Join us in our cosy Bistro for a relaxing meal, open for lunch and dinner seven days a week. Our expansive menu features all your pub favourites from the classic chicken parma to wood fired pizzas, visit us anytime for a variety of seasonal and nightly specials including Steak Night, Parma Night and more. Join us for live music and morning tea with different performers every month! Bookings essential. Join us for a casual drink in the Public Bar any day of the week. 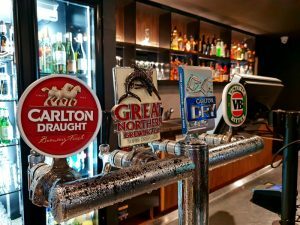 Select from a range of tap beers or local wines to drink, and a list of tasty counter meals from wood fired pizzas to chicken schnitzels and steaks. Counter meals are available for lunch and dinner Monday – Friday and all day on weekends. For Bistro reservations please call us on (03) 5971 2207.